I have mentioned before that I have been enjoying biographies of historical figures whose lives spanned the majority of the 20th century. There is no better fit for this mini-genre than the life of Elizabeth Angela Marguerite Bowes-Lyon, better known as the Queen Mother and consort of King George VI. Indeed, the Queen Mum was born in 1900 and died in 2002. The amazing life of this woman is related in the wonderful biography, The Queen Mother: The Official Biography by William Shawcross. The Queen Mother, mother of the current queen, and great grandmother of Prince William, has always been a character of great interest to me. In The Queen Mother: The Official Biography, Mr. Shawcross does a great job of humanizing the woman who led an epic life and ended up, by a random twist of history, as a central figure on the world stage for most of the 20th century. I will admit that I am an unabashed anglophile and royalist, so my admiration for this book and its subject may be a bit biased. However, no matter where you sit, Mr. Shawcross paints a portrait of a major historical figure of recent vintage and places her life into the record with well documented details and exhaustively researched information. Oh yeah, and it is interesting to say the least! 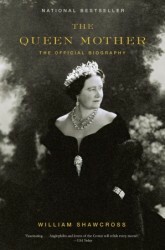 The Queen Mother: The Official Biography is available from Amazon and other booksellers. While looking around for new places to find unique gifts, I discovered Papa Stour, a place that brings together the best ideas and products of Scottish artists and designers. The result is a unique shop where you can find original and fun gifts and treasures for yourself. 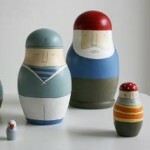 Check out all of the creative Scottish crafts of Papa Stour here. I fancy myself as some sort of artist as well as an art collector and critic. I like all kinds of art and always have my eyes open for finding interesting works wherever I go. After a week in Italy gazing at some of the world’s most amazing works of art, and touring around the master works in London’s fine museums, I was truly overwhelmed with it all. However, I was delighted to discover the work of British artist L.S. Lowry at the Tate Museum in London. Laurence Stephen (L.S.) Lowry (1887-1976) is by no means one of the great masters of the ilk in the museums of Florence and London. However, his charming “primitive” or “naïve” style was refreshing and charmed me. L.S. 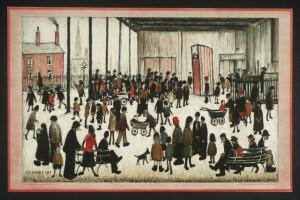 Lowry was known mostly for his drawings and paintings of industrial and city scenes in Northern England. His work is not realistic and has a bit of whimsy, especially when people are depicted. I can’t say I “discovered” L.S. 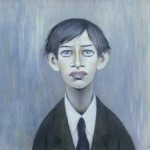 Lowry, as he seems to be somewhat of a British national treasure, but he is new to me and I am enjoying reading more about him and seeing his work. On a whim, while still in London, I looked into what it would take to purchase one of his works. One search uncovered a major work that was coming to auction soon, with an estimated sale price of over £3 million. I think I am going to need to stick to admiring his work in museums and galleries and stick to “finding” my new artists at the flea market. See the Tate’s collection of L.S. Lowry’s work here. See more of the L.S. Lowry catalog here. Read about L.S. Lowry on Wikipedia here. Last year I told the story of our family heirloom turkey platter that has been in my mother’s family for generations and now graces our Thanksgiving table every year. That post was more about the lament of no longer celebrating the holiday at my parents country home in New Hampshire than about the platter itself. Thanksgiving had been the one holiday when we would all gather at the house and enjoy an old fashioned holiday dinner. Since moving our parents out to a more convenience living situation, a couple of years ago, my sister and her family have hosted dinner. This year, with me as caretaker of the old family homestead in New Hampshire, we decided to have Thanksgiving dinner here once again. It was my mother’s first time at the house since moving out two years ago and although she was a bit emotional, she was happy to be back and thrilled to see the house alive again, especially with the whole family around her. It was a challenge for me to host the whole family and prepare dinner by myself, but I was happy to do it. I was well prepared and made detailed lists of everything I needed to do to prepare – from preparing the dinner to cleaning the house to last minute decorating projects. I had everything perfectly timed to be ready for when guests arrived. However, the day before Thanksgiving something unexpected happened… a snow storm passed through leaving 18 inches of heavy wet snow. This was a major setback, as there were a few tense moments waiting to be plowed out. But the driveway was cleared in time and by Thanksgiving day the sun was out and the snow covered landscaped added to the festive atmosphere. No one knows for sure if it was indeed the last time for dinner here, but the sentiment was genuine and touching. All I know is that the family tradition is that wherever the turkey platter lives is where dinner will be. 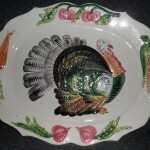 I am happy to report the platter has come home and I will keep it safe for at least another year. 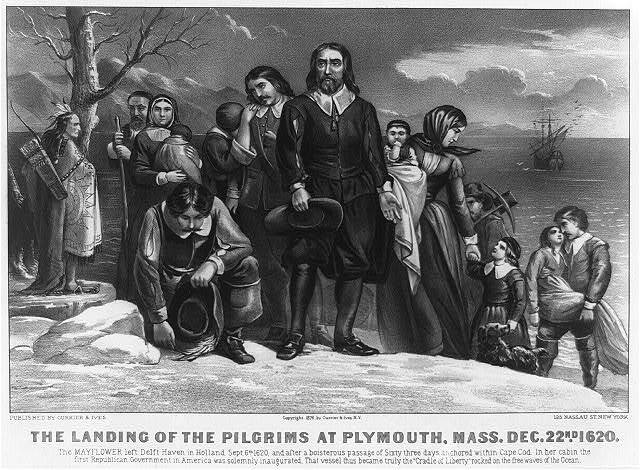 Thanksgiving is a time when we reflect on what we are grateful for. On the eve of the holiday this year, I wanted to take a minute for a shameless plug for my dear friend Lynda’s blog, Grateful Evermore. Through her blog Lynda shares the things for which she is grateful all year long – something we should all think about more. That said, Lynda has had some great Thanksgiving-related posts this week, and in general has really hit her stride with a very personal yet relatable and entertaining blog. On this Thanksgiving eve I am thankful for great friends like Lynda and their willingness to share with us – anyone who quotes Buddy the Elf is ok in our book. It seems that dessert is as much a part of Thanksgiving as the turkey itself. Over the years I have been blessed to have spent every Thanksgiving with my family, immediate and extended. If someone was not able to be with the family for dinner, they always came later for dessert. Most years the dessert turned into family games and ultimately in raiding the leftovers for another meal. I will admit that desserts are my weakness. Not that I eat them, but that I am not the best provider of desserts when I host dinners. The simple reason for this is that I don’t really care for most desserts. As host of tomorrow’s dinner, I told my guests to bring desserts to ensure everyone has something they like. Unlike me, my mother loves desserts. Sadly, she is diabetic and can’t partake in her old favorites without risking a major health setback. A few years ago I found a recipe for a sugar free cheesecake and made it for my mother at Christmas. This cheesecake was such a hit, not only with my mother, but with everyone who tried it, that I have made it for every major family dinner since. Last night I whipped up a couple of these cheesecakes to have on hand for tomorrow. One to serve and one to send home with my mother. I found the recipe on the website Diabetic Gourmet and it is relatively easy, but does take some time. Keep in mind that the cheesecake is sugar free, but it is not fat free – and is best made with the real cream cheese. I like to top the cheesecake with some sugar free whipped topping. I recommend trying this recipe if you have a diabetic friend or family member coming to dinner – or just to make a treat for anyone who likes cheese cake. 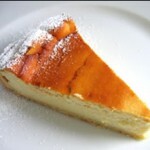 Find the Sugar-Free New York Style Cheesecake recipe here. I have prepared dozens of turkey dinners with all the fixings for the family over the years. Since I was a little kid I helped my mother prepare Christmas dinners, Thanksgivings, and holiday “family dinners” we had for many years. I have it all down now and know how to plan everything down to the minute to ensure a timely dinner. That said, I am a little nervous about hosting Thanksgiving dinner on Thursday. I know it will all go well, but there are so many moving parts. The dinner is a big part of it, but the fact that this will be the first time the whole family has assembled in the old homestead since my parents moved out two years ago, carries a whole set of uncertainty. My dad has been up to visit a couple of times since moving away, but my mother has not. Over the past two years my mother has said many times that she did not want to return to the house as it would be too emotional. However, we have convinced her that it would be a good thing for her to see the house alive again with my oversight. So we shall see. I have a nice dinner planned, with a turkey as the centerpiece. One of the great things the Butterball turkey company does is help people prepare thanksgiving dinner. For many years Butterball ran a hotline for nervous chefs – and they still do – but they also have a great website that answers every question you may have about preparing a turkey dinner. I bought a fresh bird from a local vendor, but the cooking tips Butterball offers come in handy none-the-less. I am just thankful for a fresh bird so I don’t have the “still frozen” horror you hear about. 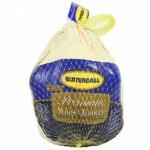 Check out Butterballs’ turkey preparation tips here. I have talked about kettle corn in the past, but I didn’t mention the time my friend Lynda asked me to smuggle a bag of it into a movie theater. The bag was so big it made me look pregnant. Thankfully it was winter and my jacket covered it well. Knowing Lynda’s fondness for kettle corn, I bought a bag of White Mountain Kettle Corn recently on my way to visit her. I was drawn to White Mountain Kettle Corn at the store because it is made right here in New Hampshire. On my visit, Lynda promptly opened the bag and it was so good we devoured it on the spot. I have to say that White Mountain Kettle Corn is by far the best bagged kettle corn I have ever had and highly recommend it. White Mountain Kettle Corn offers some nice gift packs on their website and is great for holiday giving. 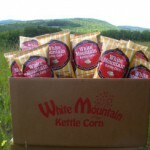 I have sent a gift pack or two myself since discovering White Mountain Kettle Corn and it has always been appreciated. To find where you can purchase White Mountain Kettle Corn visit their website here. One of the highlights of my recent trip to Florence – and there were many – was a visit to the amazing Uffizi Gallery. The Uffizi Gallery is one of the world’s great museums and its vast collection is overwhelming, but wonderful, and worth every second I spent there. I have been to many a museum in my day, but being in this grand palace of art was something special, especially as an American knowing that the building and many of the works in it pre-date the discovery of the New World. 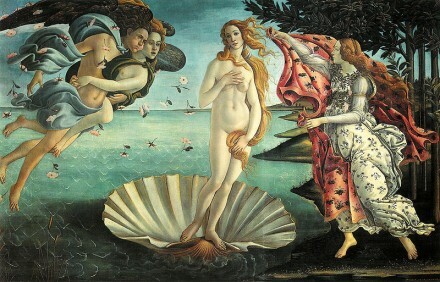 It was a particular kick to see iconic works like The Birth of Venus by Botticelli, which is just amazing. The museum is one of those places where you could spend a few days and still feel that you have not done it justice. I did invest in the audio tour, which was great but just scratches the surface. I found myself turning off the audio and staring for long periods at many of the works. I think I could have been arrested for loitering with the amount of time I spent gawking at the Uffizi collection of Rembrandts. 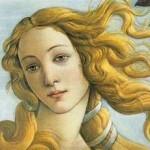 Visit the official Uffizi Gallery website here. Lost Cowboy is powered by	WordPress 5.0.4 and delivered to you in 0.958 seconds using 58 queries.